The IHBC has launched the first of its new regular NewsBlog IHBC Branches Update, collated and edited by Branch Support Officer Carla Pianese… so now IHBC members and colleagues can find local CPD across the UK, from Montreal interiors, in Scotland, to our MATE application support session, in Wales! ALWAYS BE SURE TO BOOK AND CHECK WITH THE BRANCH FOR LATEST DETAILS! 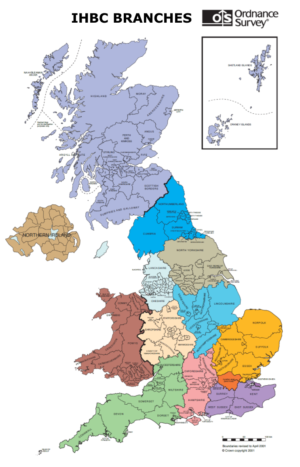 The IHBC’s new monthly Branch Update on local voluntary activities and training events combined updates on the full range of IHBC Branch-related events across the UK as well as reports on and links to our Branch activities and reports. DOWNLOAD Branches Update: Issue 1 – or continue reading online. The South West Branch has organised a visit to John Boyd Textiles Ltd, Castle Cary, Somerset. The building is in a group of grade II* and buildings: the list description is here https://historicengland.org.uk/listing/the-list/list-entry/1056226. The site sits in its own conservation area. The factory makes fabric using horse hair on the original power looms. This is a commercial business using 19th century looms in a 19th century building. There is a film at the bottom of http://www.johnboydtextiles.co.uk/. 10 places are available on a first come first served basis at £6 per person payable on the day. This CPD event focuses on brick evolution throughout the ages, how bricks are made, fired, tested, regional variations, bespoke brick blending (especially in conservation areas), brick weathering, problem solving and sharing cases studies and practical advice. Refreshments and hot food from 6pm, with talk commencing at 7:30pm. Morning: What is a Heritage Impact Assessment? How do you do one? If you want to find out more about HIAs and the new requirements in Wales, this is your chance! Edward Holland (Holland Heritage) will present session exploring the implications of the 2016 Act and the regulations on HIAs. Using case studies, Edward will illustrate the different types of heritage impact that need to be considered in different scenarios. Afternoon: Are you thinking about making your full membership application to IHBC? Not sure where to start? Come and join your local MATE (Membership Application Training Event)! This session will demystify the application process and help you to determine how to approach the all-important competence case studies. This is your opportunity to meet other branch members and talk to Kate from the National Office about the application process. A joint event with Manchester Modernists. A tour of the recently regenerated and refurbished Bus Station and Market Hall, led by the contractor, Conlon Construction and Preston City Council. The next MATE (Membership Application Training Event) session will be on 8 March at Chillington Hall, Brewood, South Staffs. It will involve a talk on the hall and a guided tour followed by a membership seminar in the afternoon. Further details and BOOKING or see the Branch webpage for contact details. The Branch is sponsoring ‘Conservation of Interiors from the 1950s–1970s in Montréal, Québec’ on 8 March as part of the ‘Architectural Conservation Masterclass’ with the University of Edinburgh. The venue is Adam House, Edinburgh, the first post war listed building in the city. The day will comprise a series of talks in the morning followed by the SE Branch AGM and a buffet lunch. In the afternoon delegates will have the opportunity to participate in a tour of the brewery, one of the oldest in the Country. A programme for the day will be available via facebook and on the IHBC SE webpage shortly. £40 IHBC members, £50 non-members. Additional fee for brewery tour. Training delivered by the Lead Sheet Association; for anyone involved in specifying or inspecting leadwork. Training delivered by the Lead Sheet Association; a hands-on, practical course. Check out the latest East Anglia Branch newsletter. 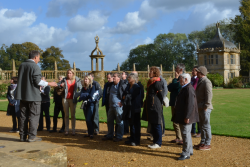 The London Branch has recently organised a tour with F3 architects of Percy House – a Grade II* listed building. Percy House is a mid C18th house with late C17th forecourt walls and railings. The HLF awarded the Tottenham Hotspur Foundation a grant for the restoration of Percy House to provide an employment, enterprise and skills hub. These works form part of the wider regeneration of the area. The Branch has recently hosted a MATE session in Manchester, on 25 January. The Branch has decided to stop producing the seasonal newsletter in favour of an online blog. This will allow content from branch members to be easily and regularly uploaded as and when received with the overall aim of providing a more reliable and straightforward method of communication to update members on what is happening within the North West. Find out more about the 2018 planning events on the NW Branch Blog and on the main branch webpage. The next open MATE (Membership Application Training Event) session, is planned for March/April in Glasgow. Stay tuned! The Branch has recently organised on 19 January its highly successful Branch Seminar ‘New Order – Divine Intervention’ in association with The Diocese of Winchester. It provided a good guide through the process of understanding and acknowledging the significance of church buildings, and summarises the law and Faculty system which must be followed. Duncan Philips, Chair of the SE Branch, is very pleased to announce that IHBC South East will host the Annual IHBC School in 2020! The committee will be meeting soon to discuss themes, locations and details. On 24 January, with Carla supporting from the IHBC’s National Office, the Branch hosted a committee meeting with two online participants joining remotely! Geography is not going to be an issue anymore for the Branch, and this system is strongly recommended when travelling is an issue and it’s also cost-effective! Want to join the SE Branch Committee? We are interested in hearing from any Affiliates or Full Members interested in being on the committee, ahead of our AGM in March. We are keen to fill the role of Secretary in particular, but there are also lots of other committee roles available. You’ll attend branch meetings at the pub (or virtually), help organise branch events and keep up to date with what’s going on in your area and the profession. Looks great on the CV and doesn’t have to be time consuming! Keep an eye on emails, facebook and the branch webpage for more details, or speak to a committee member. The Branch is planning exciting events for the 2018. Meanwhile, they have just launched a new Twitter account. If you would like to get involved with Branch activities and help organise and deliver CPD events, please get in touch on the relevant Branches webpage and select the Branch you are interested in. Have you finalised your New Year’s resolutions? How about finally getting your full membership application for IHBC submitted? To help you along the way come along to see your MATE (Membership Application Training Event) session. The purpose of the seminar is to help demystify the process. You will have the opportunity to talk with full members about your application and hear about how to approach the process.